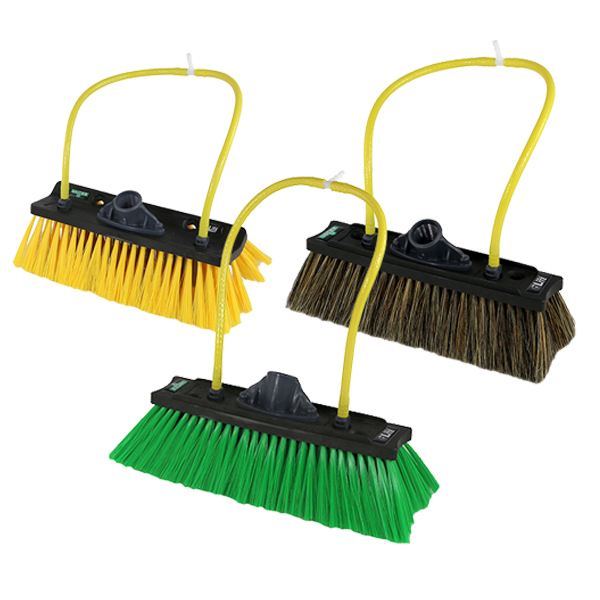 This selection of commercial cleaning brushes is perfect for all your scrubbing projects. 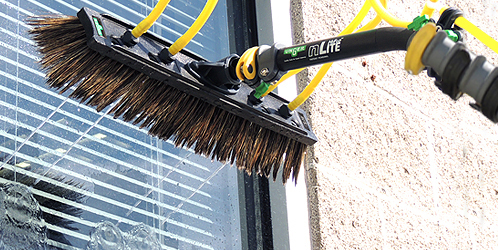 Whether cleaning outdoor windows with pure water or powering through restroom floor grime, Unger brushes are designed for the job at hand. 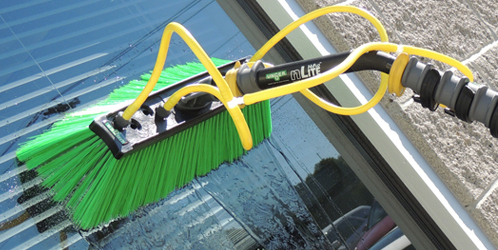 Make each job easier with our brushes' innovative designs and high quality materials. 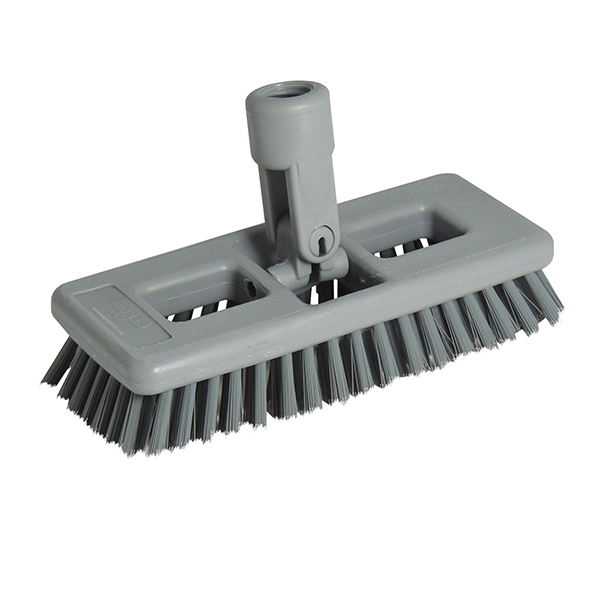 Angled bristles reach corners, edges, and grout lines while ergonomic handles reduce bending and over-reaching. High traffic areas are home to some of the toughest floors to clean. And with high standards in mind, and with a frequent cleaning schedule to manage, it's imperative that your cleaning crew have the tools needed to make quick and effective work of the space. 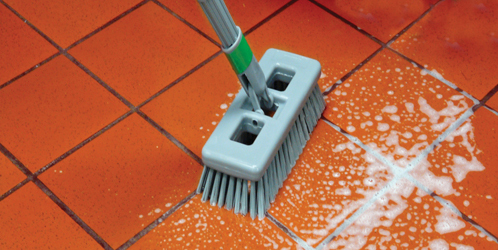 You can expect Unger's floor cleaning brush options to provide optimal cleaning of corners, edges and grout lines. 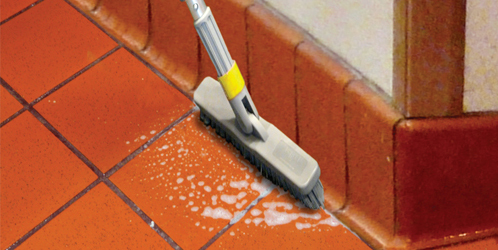 An all in one power cleaning brush and squeegee, Unger's sanitary brush offers a double black foam-rubber squeegee perfect for drying tiles and grout lines, while the polypropylene bristles offer an effective, but gentle floor scrubbing tool.